Even though it was released in February, the Apple HomePod isn’t exactly a new product. According to a recent report in Bloomberg, some version of the HomePod has been in development since 2012. Back then, the speaker market was a different arena, with a different set of standards—most of which focused on sound. In 2018, however, speakers—particularly “smart speakers”—are judged on a longer list of criteria, from sound quality to accessibility to whether it can automatically set a timer or tell you the weather in Pyeongchang. To see how HomePod fared against these modern expectations, I took it home for a hands-on review. There’s something wonderfully minimalistic about HomePod—not just its clean design, but the way that design extends to the interface and setup. It’s simple, it’s elegant. In fact, it took more time to craft this paragraph than it did to unbox the HomePod and set it up. I wasn’t necessarily surprised by this—Apple has always been very good about making system setup relatively pain-free—but I appreciated it all the same. What I was surprised about was the size of the HomePod: at nearly seven inches tall and weighing five-and-a-half pounds, I thought it would both be bigger and somehow weigh less. The material, too, was not what I was expecting. 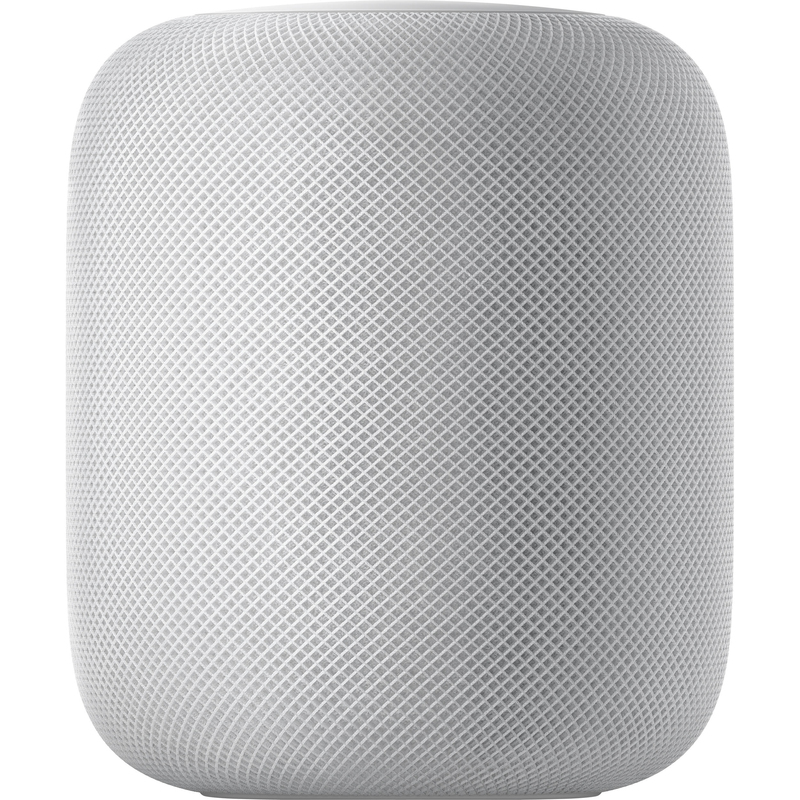 Described by Apple as a “seamless mesh fabric,” HomePod’s exterior looks great but also feels different than any other smart speaker I’ve handled—the word “softer” comes to mind. Rounding out the design is a hard rubber base and a built-in power cord. On top is a glass panel with touch volume controls. The panel also acts as an LED display that does its best HAL-9000 lightshow impression when you call out Siri’s name—updated with some millennial pink for the youths. Were it to be judged on sound quality alone, the HomePod would reign supreme. Even by today’s standards, it cannot be beat. And that’s against all other speakers in its price category, not just smart ones. The secret to its sound superiority lies partly in design, partly in the software. In true Apple fashion, Apple has been somewhat tight-lipped about the exact specs of the HomePod’s driver array, but what they do tell us is that it comes with seven “horn-loaded” tweeters and one “high-excursion” woofer. The tweeter array encircles the bottom of the HomePod and the woofer sits at the top. Sandwiched between them is a six-microphone array that helps HomePod continuously analyze playback and adjust bass levels accordingly. 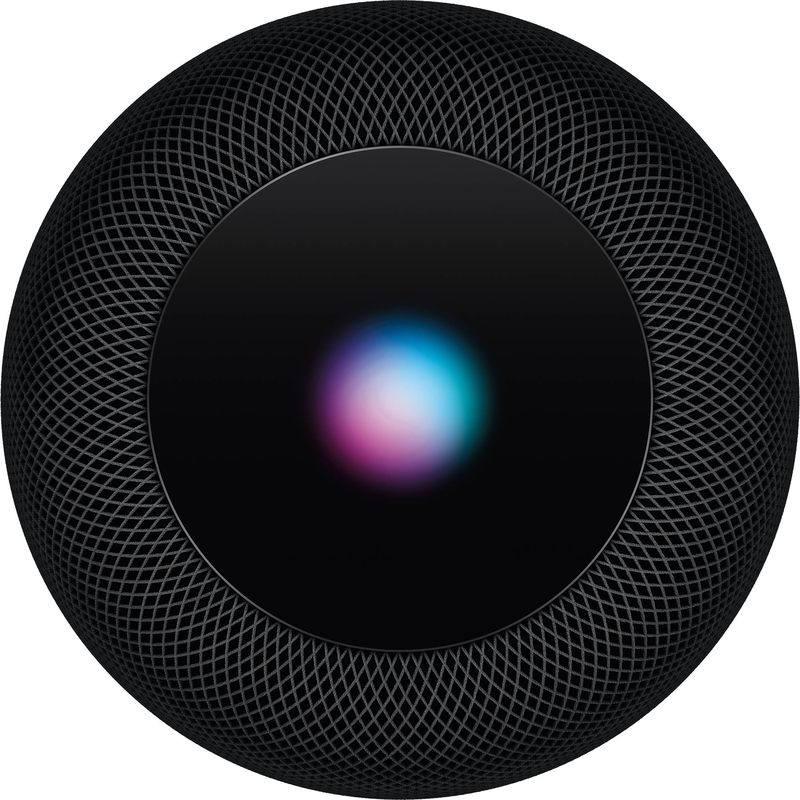 For brains, HomePod features Apple’s own A8 processor, which handles all the real-time adjustments and calibrations that make HomePod sound so great. There’s plenty of other impressive technology at play here, too—fancy-sounding features like “beamforming” and “real-time woofer modeling”—but as cool as those technologies sound on paper, the result sounds even better coming out of your speaker. Have you ever dated somebody who was a really great partner but at the same time also kind of clingy—in that they didn’t want you spending time with anyone else? That’s basically what using the HomePod felt like. To be clear: The sound quality of the HomePod is incredible. Based on side-by-side comparisons, I am confident that any song you listen to on the HomePod will sound noticeably better than on any other smart speaker. However. Listening to that song, or any song, requires you to be an Apple Music subscriber. Not Spotify. Not Pandora. Not anything. HomePod does not want you hanging out with any other streaming services. Now, whether that prohibition is an issue depends largely on you. Maybe you don’t have any other friends to hang out with in the first place. Maybe you’re a ride-or-die Apple user through and through. If that’s the case, then by all means, skip ahead. But if you’re like me, or any of the other 70 million users who pay for a Spotify premium subscription, it’s kind of annoying. Yes, there are workarounds. You can send music to HomePod over AirPlay, but doing that requires extra steps, causes you to lose certain functionality, and honestly, feels like more work than it should be. Even for someone who owns an Apple phone, computer, and tablet, there’s something extra galling about this demand that you buy into their streaming service. Like, being able to stream Lemonade on Tidal wasn’t enough to pull me away from Spotify, yet somehow you think your smart speaker can? And yes, I know, Apple’s insistence you stay inside their ecosystem is well-trodden territory, but it feels extra pronounced here—perhaps because music is such a vital part of my life and were it not for these restrictions, I honestly think the HomePod would be an absolute must-have machine. Siri is one of those features that means different things to different users. For me, the thing with Siri is that I’m rarely struck with the thought: “I wish you could do more.” I tell her to play a podcast, she plays a podcast. I tell her to set an alarm, she sets an alarm. She’s there when I need her, which, honestly, isn’t that much. But that won’t be the case for everyone. Users who like the added functionality of Alexa skills or the deep knowledge-base and contextual reasoning of Google Assistant might be underwhelmed by Siri. For everything she can do, there’s a lot that she can’t. She’s also hobbled by the whole restricted accessibility thing. Where she does shine, though, is her ability to hear you. The same far-field mic array that measures low frequencies for bass calibration is also responsible for hearing your voice, which it does incredibly very well—better than the other smart speakers I’ve tested. So even if Siri can’t answer all your pressing questions, at least she will never ignore you. It’s hard for me to think of a piece of recent technology that has been as polarizing as the HomePod. On the one hand, I cannot oversell how great it sounds. Also, I love the way it looks. But on the other hand, the inherent limitations of a device so deeply tethered to one particular universe can be pretty frustrating, depending how bought-in you are to that system. Now, as far as Siri goes, I’m neutral. Yes, there are limitations to what she can do, especially when compared to Google Assistant and Alexa, but now that Apple has a dedicated smart speaker on the market, I feel confident the company will continue to improve Siri with future software updates. In the meantime, I think I can manage without all the extra functionality—I’m dropping three bills for a best-in-class speaker, not a glorified egg timer. In the end, my final verdict came back to the restrictions on music playback. 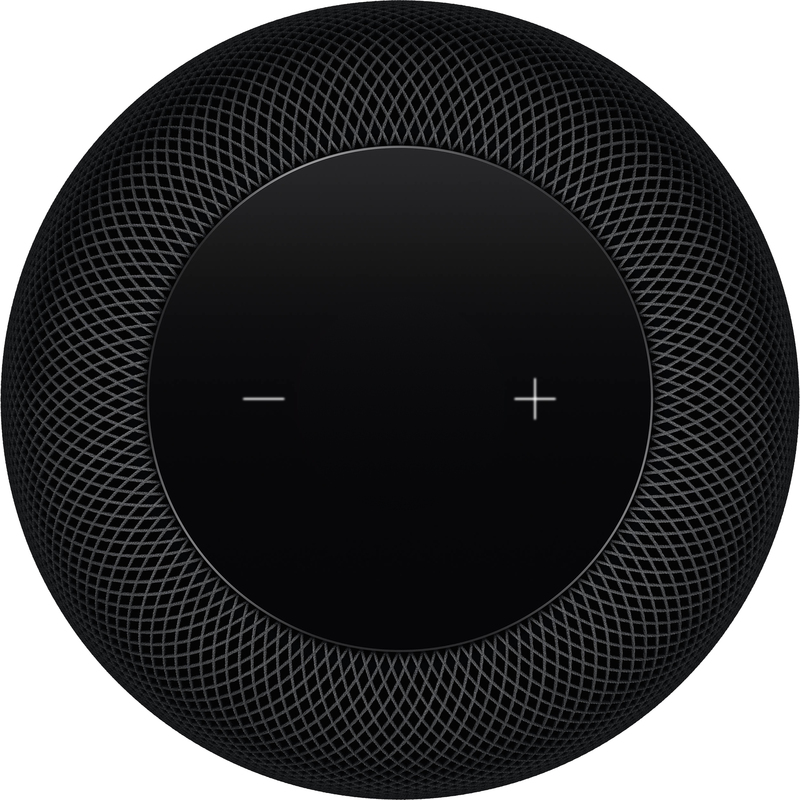 I started thinking about it in terms of price: How much more would I pay for a HomePod that could easily integrate with other streaming platforms? The answer turned out to be obvious: At least $100. That’s exactly $1 more than the current cost of a yearlong subscription to Apple Music, which I recently purchased. Because, in the end, regardless of how frustrating I find it, I simply can’t go back. The sound quality of the HomePod is too good. Although I am keeping my Spotify subscription—no one’s trying to download iTunes on their work computer. Anyone else tried out the HomePod? Are you planning to? Sound off in the Comments section, below. I made an account just to write this review, and let me preface this with I have never left a negative review in my life about anything. Even in yelp I’ve only felt it was necessary to write postitive reviews. But this was just terrible and I wanted the writer and B&H to know as this guy is representing the image of your business. I could not stand the whining and awful jokes that went simply WAY too far. None of the references or metaphors were funny or atleast short and sweet. Make your unbiased review and get over it, a lot of condescending remarks where I felt like I could hear the reviewers almost almost snappy and sassy tone. Didn’t show well. I don’t care about Apple or whatever, the review was awful and painful to read. I wish I could have just stopped and moved on but since I’ve spent and continue to spend so much money at b&h I couldn’t get passed it. Ha I’m laughing that I’m actually writing this review! Damn that was bad. Thanks for writing in, and for signing up for comments. We appreciate hearing from our readers, even those we seemed to have riled up. I apologize if you think the review was too flippant and glib, but I stand behind the core of it – the Homepod sounds absolutely brilliant, but access is kind of limited. We encourage you to tell us about your experience with the Homepod, including your challenges or triumphs with the Apple music ecosystem. It’s always good to get a healthy, balanced discussion going about any product.